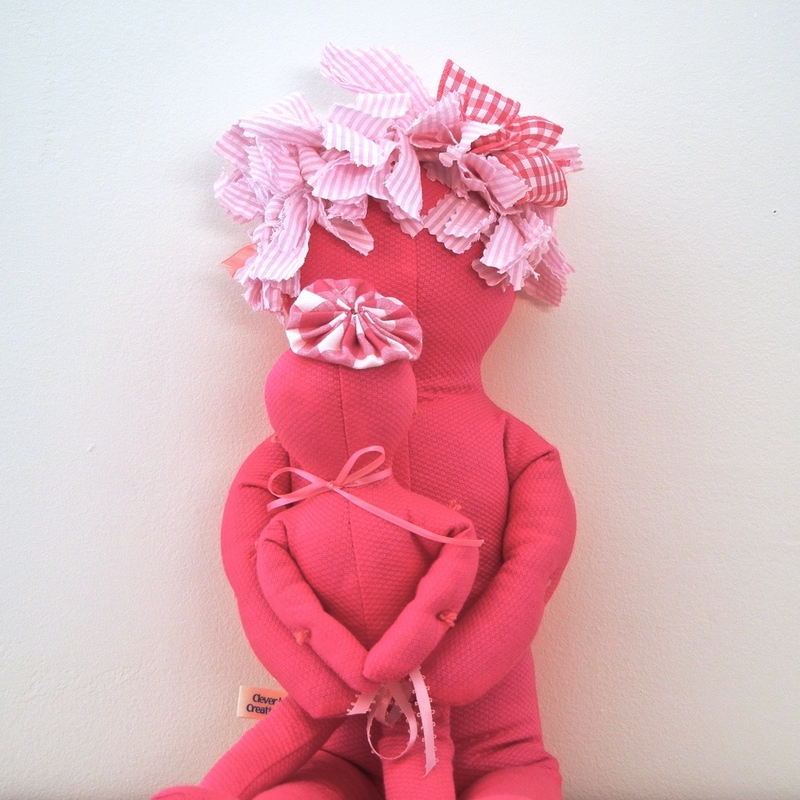 Visit the Stafford Dolls Etsy Shop to purchase a pink doll. She may also be a relief pillow for post-surgery tenderness (especially breast cancer patients) because the soft stuffing can be easily reshaped. 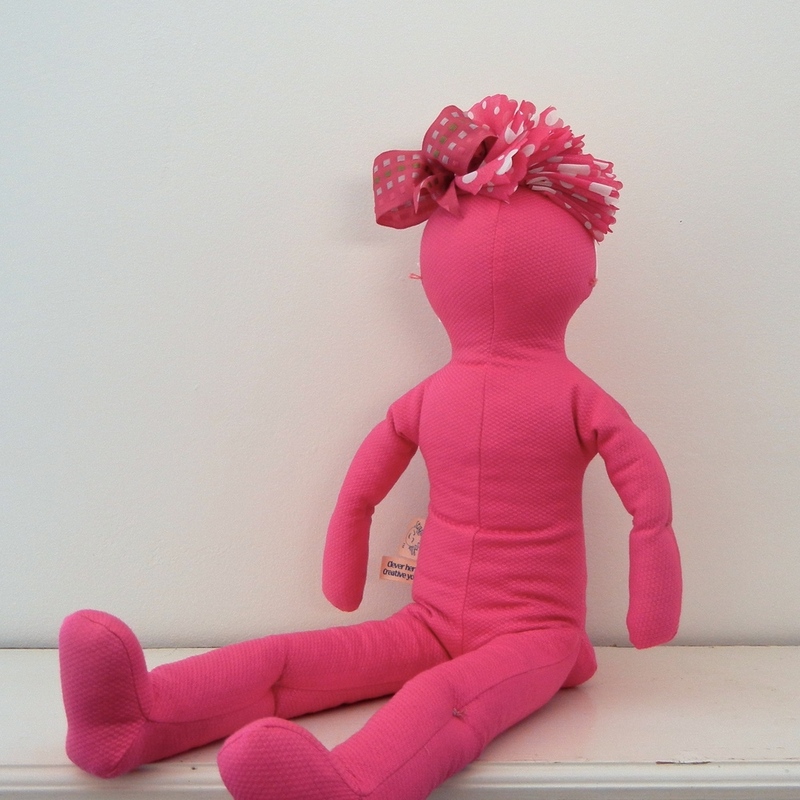 Large dolls come with three crown tacks and are ready for embellishing. Once embellished, the doll's “hair” can be changed as often as you please with materials of your choice, like the examples above and below.